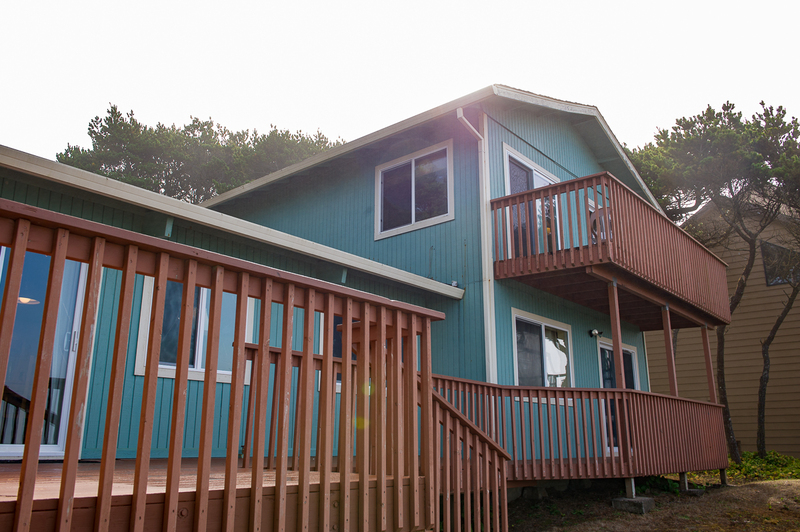 Breaking Waves Retreat is the perfect ocean view home for an Oregon coast getaway with your family or friends. Nestled among the trees in a quiet neighborhood about three miles north of downtown Depoe Bay, the roar of the breaking waves can be heard from every room in this home. With four bedrooms and two and a half baths, this vacation rental is able to accommodate up to ten people. The main floor has a great room with an open beamed ceiling, a comfy living room with a sofa sleeper and gas fireplace, a well equipped kitchen for all your cooking needs, and a dining area that also contains a large assortment of games and books. The main floor deck runs the full length of the house and is located right off of the living room with a gorgeous ocean view. 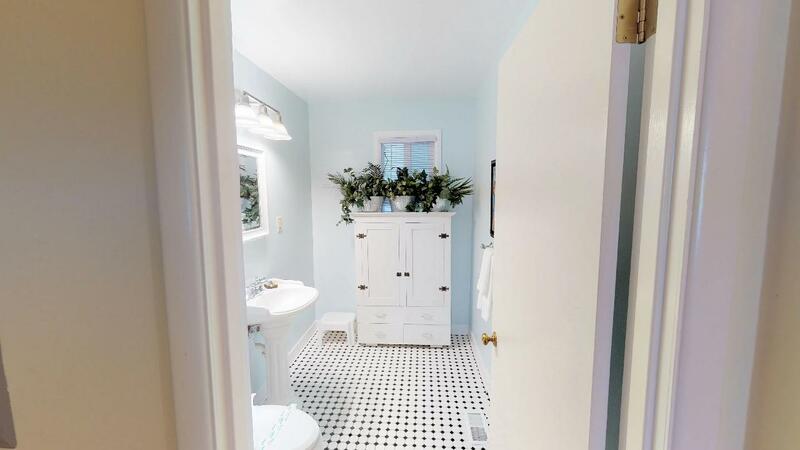 The main level also has a half bath and a full bath with walk-in shower. There are three queen bedrooms on the main floor. 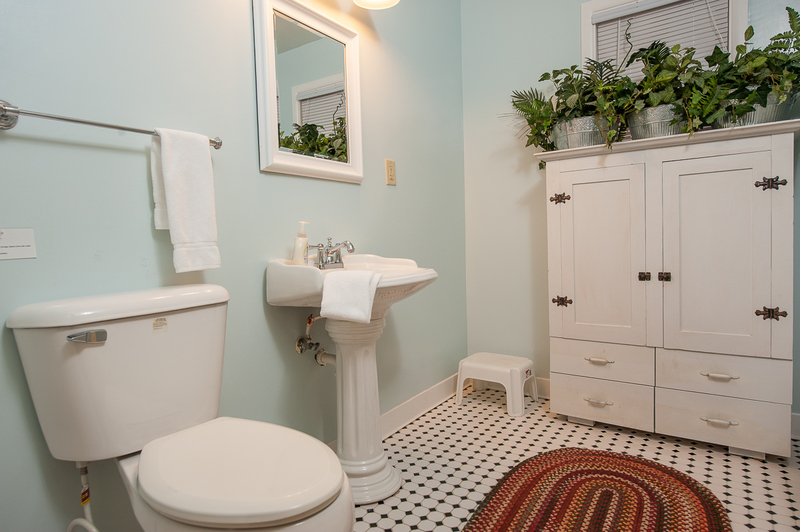 There is also a large utility room with a convenient washer and dryer, high chair, baby gates, and a pack and play available for guest use. 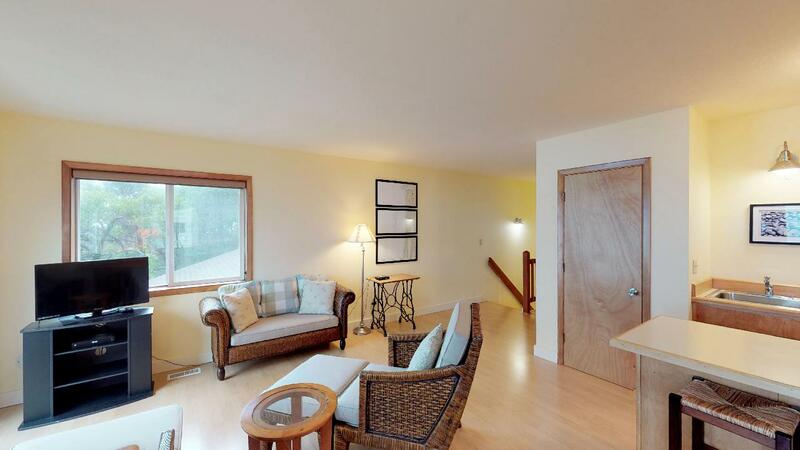 The second floor contains another living area, small kitchen, and another deck to enjoy more of the ocean view. 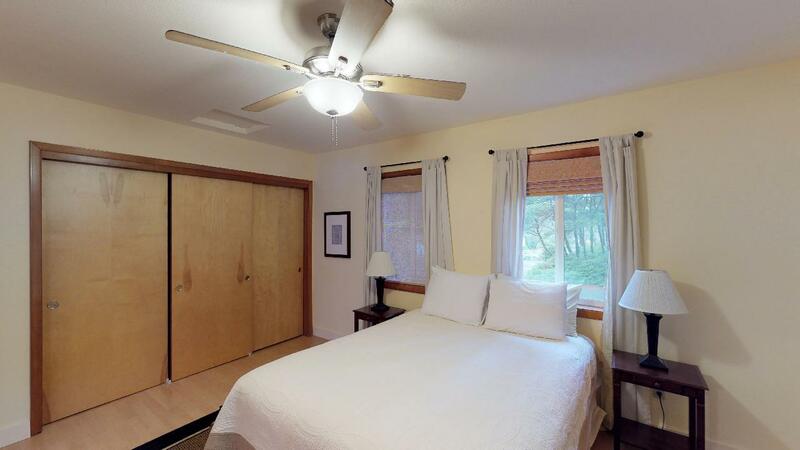 The master suite with a queen bed and large bathroom with a tub and shower combination is also on the second floor. Both living rooms have TVs and DVD players. There is also a TV in the master suite. 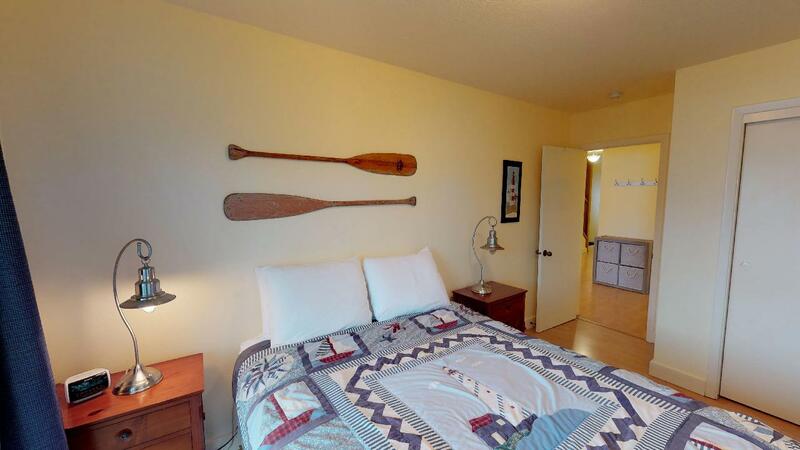 This vacation rental also offers two twin air mattresses if the little ones want to sleep in the same room as their parents. Wi-Fi is offered throughout the home. Beach access is approximately a four minute walk down a somewhat steep path (little ones may need to hold on to their parents). The beach is practically private as it is only accessible to the neighborhood. While on vacation here, you could take a long walk to Fishing Rock and explore the tide pools at low tide, fly a kite, build sand castles, or hunt for agates. With only a ten minute drive to the south of Lincoln City, there are many restaurants and an outlet mall for you and your family to explore. Just 20 minutes down Hwy 101 is the Newport Hatfield Museum and the Oregon Coast Aquarium. With such a wonderful home to spend your summer vacation at, you'll want to come back again and again! Come down to the Oregon coast and see how Oregon Beach Vacations can help you have the best possible summer today! 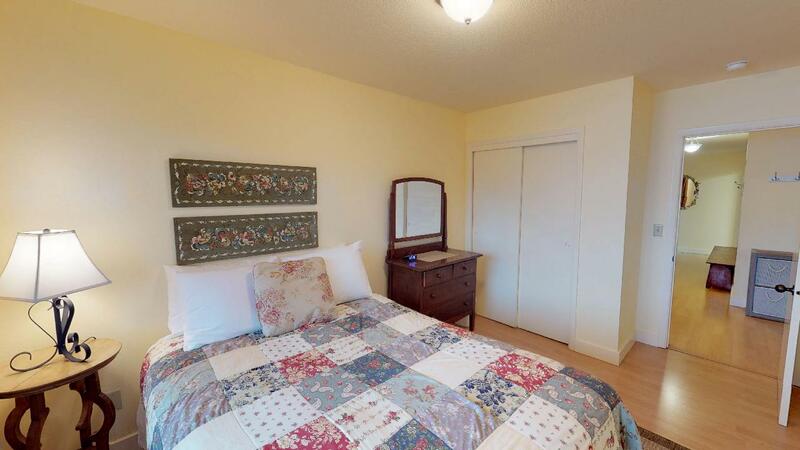 "The house was very spacious and comfortable. Access to the beach was close but steep to get to the water. Wifi was slow, okay for email but not much else. Very well stocked kitchen supplies. Lots of linen comfortable beds. Beautiful view. Would rent again if we return." "Hello Harry, Thank you for your review. We are glad to see that you enjoyed your stay at Breaking Waves Retreat. We are sorry to hear that the Wi-Fi wasn't working so well for you during your stay. This often happens during the summer months when the traffic on the coast is busier. We hope to see you and your family back again soon on the Oregon coast for another getaway!" "Our stay was wonderful. The house is perfect for our needs. Love the house and the view. Plan on coming back again and again. " "Hello Linda, Thank you for your review. We are glad to see that you enjoyed your stay at Breaking Waves Retreat. We can't wait to have you back again and again in the near future! " "We very much enjoyed our stay. The house is beautiful, well laid out and functional. 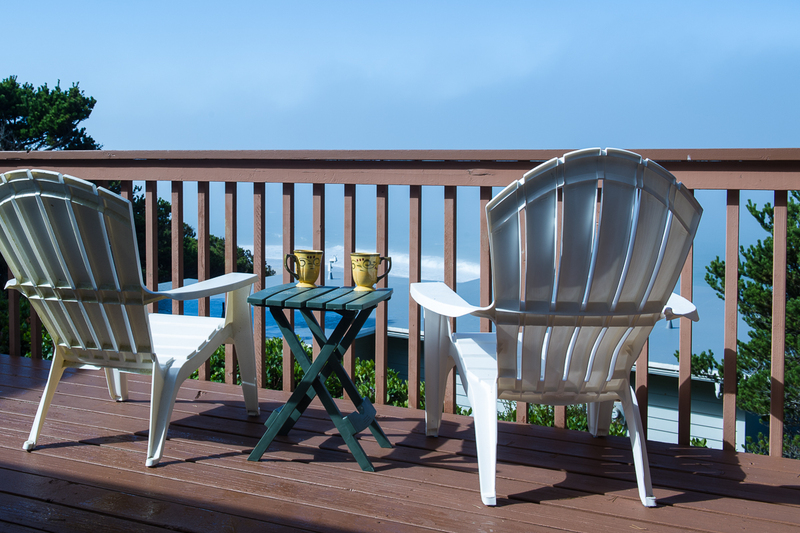 There are several decks from which to enjoy the ocean view, and the beach is just a couple of minutes walk away." "Hello Jessica, Thank you for your review. We are glad to hear that you enjoyed your stay at Breaking Waves Retreat. It sounds like this location was perfect for what you were looking for in a beach getaway. We hope to have you stay with us again soon!" "This was the fitst time we rented a house. It was perfect! We had a clean, spacious place! I have a suggestion, maybe put more "tween" and kids books in. " "Was very clean and had everything we needed for our family vacation! Will definitely stay again.?" "Tara, thank you for taking time to send in your review. We enjoy hearing our guest enjoyed their visit and found the home clean and had everything needed. Hope you and your family members made memories that can be shared with friends and family alike for years to come. Once again, Tara thank you and we would enjoy hearing back from you to assist in planning your next visit to the beautiful Oregon Coast! " Breaking Waves should be your pick! "This home is great! If its on the list of places you are considering, choose it. Its nicer than the pictures portray. View and proximity to the beach are fantastic, but the access IS steep. My teenagers and I navigated it okay and were able to help our toddlers up and down to enjoy some time in the sand but someone who had recently had knee surgery in our family elected not to try. The issue we had was Oregon Beach Vacations response (actually lack of) to a malfunction of an advertised amenity. 3 phone calls and we never saw the repai person or had use of WiFi the whole weekend trip." "Hello Melanie, Thank you for your review. We are happy to know that you had a wonderful trip to Breaking Waves Retreat! We are sorry to hear that you did not have Wi-Fi during your stay. This was most likely due to an outage affecting much of the Lincoln City area. This happens often during the summer time, as the system is overloaded. It also looks like it was the weekend when this occurred, meaning that we couldn't get the Internet provider out to the home to check it out for you. We are sorry that we did not inform you of this though. We are sorry for any inconvenience this caused you during your trip. We hope to have you stay with us again soon on the Oregon coast. Thank you again for your review." "What a lovely home. Lots of space, great kitchen, well stocked with utensils, pots, pans and table ware. View from the deck is wonderful and we loved hearing the sound of the surf while we are. Lots of extra pillows, blankets. Living rooms and Sofas, both up and down stairs, were very comfortable. The beds weren't as comfortable, but o.k. Would recommend for 4 couples or 6 to 8 people. " "Hello Melissa, Thank you for your review. We are glad to see that you enjoyed your stay at Breaking Waves Retreat! We hope to see you back again soon on the Oregon coast for another wonderful getaway! Thank you again for your review."